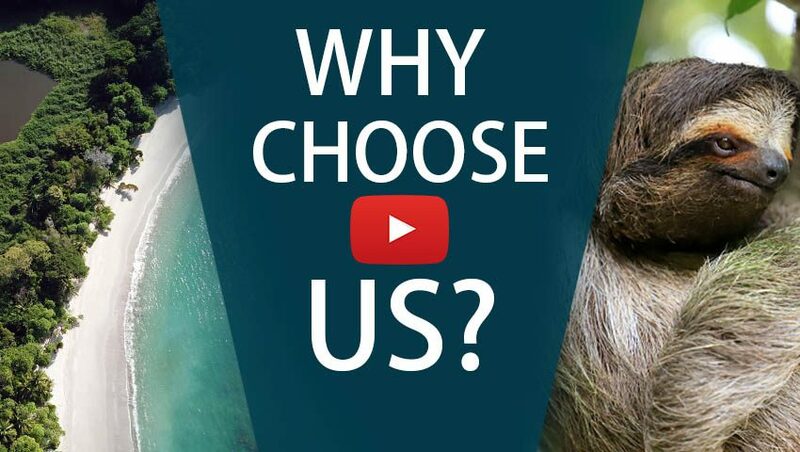 An All-Inclusive Experience in Two Remote, Tropical Locations! This vacation has you staying at two hotels nestled in the rainforest… but you won’t need to sacrifice the necessary comforts for this jungle adventure! Rafiki Safari Lodge and Águila de Osa Inn are both ecologically conscious, while providing comfortable accomodations surrounded by natural beauty. Enjoy the similarities and differences of each place as you relax on the property and explore the surroundings. At Rafiki you can wander the trails over the mountainous landscape, while at the Osa Penninsula you’ll look out over the picturesque bay and enjoy limitless access to the rainforest and ocean. There are plenty of activities to keep you busy, too. From national parks to water sports and more—you can really do it all. Start off with more adventure-focused activities, like rafting and horseback riding, before really getting in touch with nature in Corcovado National Park and snorkeling at Caño Island. This will be a trip you’ll never forget! 3 nights lodging at Rafiki Safari Lodge—including all meals and 2 tours! 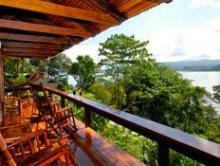 4 nights lodging at Aguila de Osa Inn—including all meals! Land in San José where you will be met by one of our representatives as you get off the plane. You will be guide through customs and taken to your private transfer. You will travel to Manuel Antonio where you begin your Costa Rica Jungle Adventure at the Rafiki Safari Lodge. This birdwatcher’s paradise is set right along the river and is the perfect place to start reconnecting with nature. Get settled into your luxury tent and begin to soak in your surroundings. Activities begin tomorrow! Day 2: Pick an exciting tour! Your safari experience includes your choice of two of the following tours: white water rafting, horseback riding on the property’s mountainous terrain, or a waterfall hike. Take your pick and head out on your first guided activity. Today you’ll enjoy the second of your included tours. Maybe you hop on a horse and take off on the many trails at Rafiki, led by a knowledgeable guide. Or if you prefer water sports, the class III-IV rapids of the Savegre River are known as some of the best rafting in the country. Take a private transfer to the Osa Peninsula, known for being home to more than half of Costa Rica’s animal species. 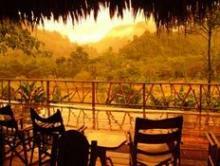 Here you’ll stay at the charming eco-lodge, Águila de Osa Inn, for a true jungle experience. Explore one of the area’s most well known attractions: Corcovado National Park. This guided tour will take you into one of the most remote parts of Costa Rica, not to mention one of the most biodiverse parts of the world. Your guide will lead you along the trails and point out the wildlife—this is indeed a nature lover’s dream! Visit Caño Island for a snorkeling tour. This is arguably the best place to snorkel and scuba dive in the country. With turquoise blue water and a large concentration of coral, you’re likely to see a multitude of fish species and, if you’re lucky, eels, rays, sea turtles, and even reef sharks! Enjoy your last day. Go out in the complimentary kayaks to explore the river and bay. Or try out another activity offered in the area like zip lining or sportfishing. Be sure to make time to relax in a hammock as you watch the sunset. Take a transfer to the local airstrip where you’ll catch a short domestic flight back to San Jose airport for your flight back home. Rafiki Safari Lodge is a unique African-safari-style tent lodge set along Savegre River, the best choice for your glamping Costa Rica trip! 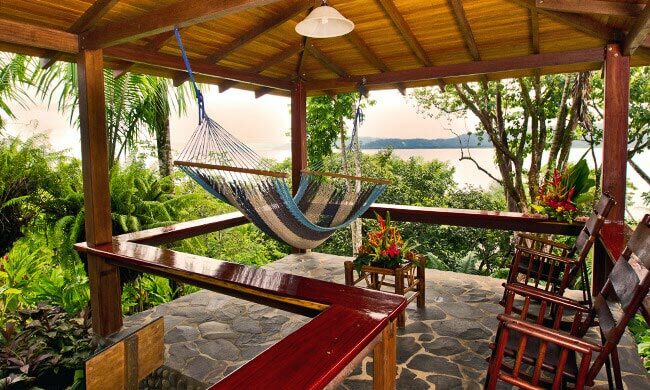 Perfect for couples looking for a relaxing jungle retreat with limitless access to the surrounding rainforest, ocean, and wildlife, while socializing with other guests in a communal atmosphere.